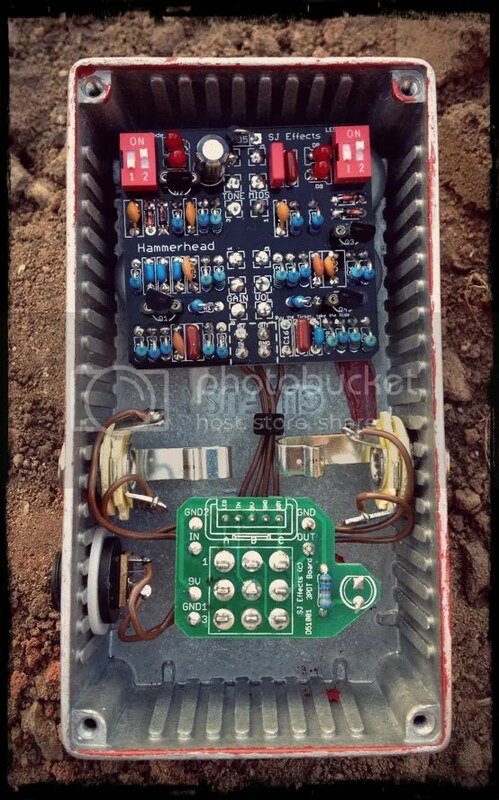 This is a Russian Big Muff I built up on one of my Big Muff PCB’s I have just got back from the fabricators. Its based on the Green Russian variant (as used extensively by one of my favourite guitarists; Dan Auberach from the Black Keys). Its great for Garage Rock/Stoner Rock fuzz tones. There are two DIP switches on the PCB to select between Diode and LED clipping. It changes the distortion character from what I would describe as compressed and smooth (silicon) and open and crunchy (LED’s). I went with a distressed finish on this one to fit the theme. I’m hoping to make the Tesla Cannon a ‘standard’ SJ Effects pedal (ie. non custom) once I have fully nailed down the circuit to how I want it, more details (and soundclips) to follow soon! 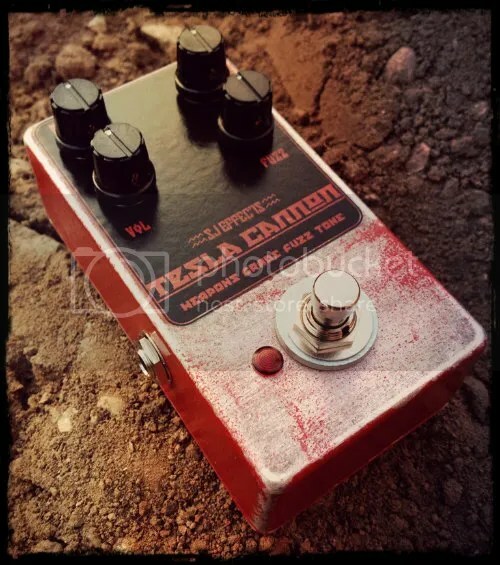 The Tesla Cannon: Weapons Grade Fuzz Tone!